Arsenal have been through something of a rollercoaster season, starting very slowly before a revival has the north London side 90 minutes away from a respectable third place. Ensuring that the Gunners qualify for next term’s Champions League, Arsene Wenger should be able to bring in a number of new faces this summer, which could see the Emirates outfit challenge for the Premier League title in 2012-13. But what is Wenger’s ideal starting XI for next season? The Polish goalkeeper has stepped up to the plate this term, and finally the Emirates faithful have a man between the sticks that they can trust. Wenger will look for Szczesny to continue his development in 2012-13 and become one of the most consistent stoppers in the division. Rumours have linked Swansea’s Michel Vorm with a move to Arsenal, and the north London club will need a backup with Manuel Almunia on his way out of the club. The Belgium international is an important member of the Arsenal set-up, and Wenger will hope to have the vice-captain fit and available for the bulk of next season. With a raft of central defenders, Vermaelen may well end up at left-back, with Andre Santos a solid backup. Despite the prominence and potential of Kieran Gibbs, Bacary Sagna is the first choice at right-back and is an excellent defender. The France international has recently broken his leg for a second time, and Wenger will be keen to have the 28-year-old back in his starting line-up for the start of next term. The Ajax captain is in the last year of his contract with the Eredivisie giants, and is reportedly being chased by Arsenal, Tottenham and Manchester United. Wenger will hope his side can win the race, as the centre-back would be an excellent addition to any of the leading Premier League sides. The French centre half has shown maturity and doggedness this season, and will most likely get the nod over Per Mertesacker if everyone is fit and available. The Gunners have missed their home-grown hero Wilshere this term, with the England international not kicking a ball in anger all campaign. The Emirates faithful will hope to have their favourite back available for the start of next season, which will be as good as a new signing. The Cameroon international has been one of the standout performers for the Londoners this season, and is now a majorly important member of the team. Song’s combative nature in the centre of the park is complemented by a surprisingly excellent range of passing and boundless energy. Wenger’s number one transfer target this summer, M’Vila has been imperious for Rennes this season and forced his way into the France international set-up. A £17 million deal has been touted, but Arsenal must fight off interest from Inter to get their man. If the battler does arrive in England it may limit opportunities for the likes of Mikel Arteta and Aaron Ramsey. The vastly-experienced Germany international has ended a long-running transfer saga by agreeing a move to north London this summer. Podolski will take some of the goalscoring responsibility away from Robin van Persie, and is a feisty and passionate forward. The young starlet has shown glimpses of brilliance in his debut Premier League season, and will be in line for a regular first-team place next term. Fast, skilful and with an eye for goal, Oxlade-Chamberlain is a star in the making. 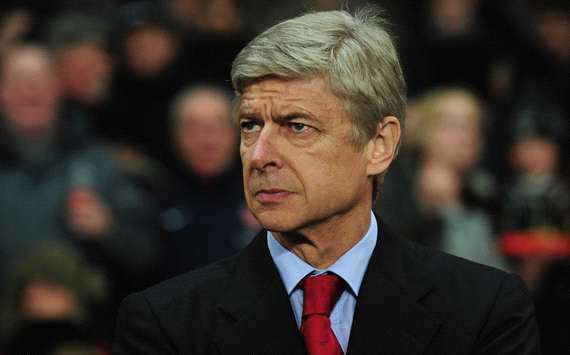 Wenger will also have Theo Walcott, Gervinho and potentially Clint Dempsey to choice from. The PFA Player of the Year has been unplayable at times this season, and has on occasion single-handedly dragged the side to results. With one year left on his contract, the Netherlands international’s future will have a major bearing on the club’s fortunes next season. Euro 2012 is only a matter of months away, and excitement is growing in fans and players alike. The tournament in Poland and Ukraine is set to be one of the most open of recent times, with holders Spain sure to be challenged by the likes of Netherlands, Germany, France, Italy and England. Any successful team needs a leading goalscorer, and some of the most prolific marksmen on the planet will be on show this summer. Mario Gomez is the current favourite for the accolade, as the Germany international striker is sure to lead the line for Joachim Low’s side. The Germans were unrelenting in qualifying, winning all ten of their Group A games, with Gomez netting six times in the process. The Bayern Munich attacker is the Bundesliga’s current top goalscorer with 18 strikes, and in a much-fancied Germany team Gomez is expected to hit the net on regular occasion. His international team-mate Miroslav Klose is also in the running at fifth favourite, with Arsenal target Lukas Podolski back in 11th. 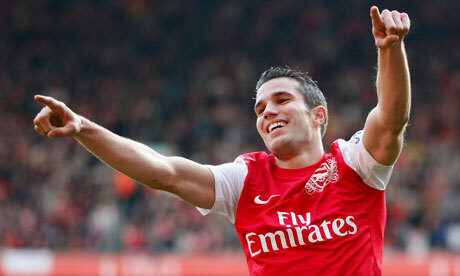 Robin van Persie runs Gomez close as second favourite, and the Netherlands frontman will take some stopping; the Arsenal hitman is the Premier League’s top goalscorer with 25 goals, and he has been in incredible form of late. Van Persie scored six goals in qualifying, and is ready to replicate his stellar club performances on the international stage. Although Van Persie is a sure starter in Bert van Marwijk’s side, Klass-Jan Huntelaar may also play and could be a good bet for the Golden Boot. The Schalke striker has re-found his killer instinct in the Bundesliga, and topped the Euro 2012 qualifying goal charts with 12 strikes; he is seventh favourite to lift the individual crown. Spain are the team to beat this summer, with a fantastic World Cup winning side at the peak of their abilities. However, with a dearth of talent at his disposal, it will be interesting to see who Vicente Del Bosque selects in attack. David Villa would surely have played if fit, but the Barcelona attacker is recovering from a broken leg and faces a race against time to be available for the competition; despite this he is still third favourite to lift the Golden Boot. Roberto Soldado may well start instead after excellent form for Valencia and in international friendlies; he is sixth favourite. Fernando Torres faces a battle to be selected after a terrible year, however the Chelsea forward is still eighth on the list. Cristiano Ronaldo’s club form has been exemplary over the last five seasons, however the only criticism of the Real Madrid attacker is that he does not show this for Portugal. Despite this, the former Ballon d’Or winner is fourth favourite to tleadthe goalscoring charts. Mario Balotelli is the most fancied of Italy’s strikers in ninth place, despite being left out of the squad for the recent friendly defeat to the United States, whilst Karim Benzema heads France’s hopefuls as tenth favourite. England’s shining light Wayne Rooney is down in 19th, largely due to the fact that he will miss two games in the group stages due to suspension, with currently injured colleague Darren Bent way down in 36th. The next Three Lions boss may have to rely on youth at the tournament, with Daniel Sturridge and Danny Welbeck at 38th and 39th on the list to excel if given a chance. Harry Redknapp and Daniel Levy have not made secret their wishes to bring a centre forward to White Hart Lane this summer, but with no arrival of a new number nine, time is working against Tottenham. With transfer attempts for a number of forwards crashing on the rocks, and a list of targets not interested due to the lack of Champions League football, who will be starting up front for Spurs against Everton come the Premier League opening day on August 13th? Much was made of the side’s inability to beat some of the lesser teams towards the end of last season, with disappointing results in the last third of the campaign meaning no top four finish. Peter Crouch was effective in Europe but struggled domestically, whilst Jermain Defoe had what he calls the worst season of his career. With Roman Pavlyuchenko not clinical enough when it mattered and Robbie Keane low on confidence and fitness, all four have been linked with a summer departure. As yet the only attacking arrival has been that of Souleymane Coulibaly, a 16-year-old Ivory Coast youth striker. As bright a prospect as the sprightly African is, he will need time to adapt to his new surroundings, and is not yet ready for the big stage. Leandro Damaio looked like a player Redknapp would move for, but the Internacional and Brazil forward has decided to sign a new contract with his current employers. Giuseppe Rossi has been linked with a move, but with Barcelona and Juventus circling, and Villarreal in the Champions League, this simply is not going to happen. Espanyol have slapped a £20 million price-tag on Pablo Osvaldo, a £9 million bid for Abel Hernandez of Napoli has been rejected and Dimitar Berbatov’s return has had no clear signs of occurring. With the effort to keep the likes of Gareth Bale and more-so Luka Modric at the club, Spurs have become distracted from the efforts in attaining a goalgetter. But who should they be targeting? 1 – Lukas Podolski – The 26-year-old has recently been stripped of the FC Koln captain’s armband, and the opportunity to play in Europe would be appealing. 42 international goals for Germany is a record that speaks for itself. 2 – Alvaro Negredo – A Spanish international with a real eye for goal, the former Real Madrid youth player is the main man at Sevilla. With the Andalusians rumoured to be interested in Giovani Dos Santos, a player-plus-cash deal could tempt the 25-year-old to England. 3 – Antonio Cassano – The AC Milan forward is well down the attacking pecking order at the Giuseppe Meazza and needs first team football to have a chance of playing for Italy at Euro 2012. 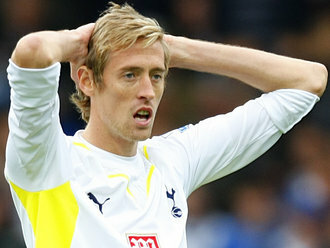 At times has a questionable attitude, but would prosper under the adoration of Tottenham support. With a couple of weeks and counting to the end of the transfer window, Harry Redknapp needs to assess which of the four strikers at his disposal he will keep, and which realistic targets he can bring to White Hart Lane to fire Spurs back into top four contention, but the club needs to act quickly to start the season with a bang.